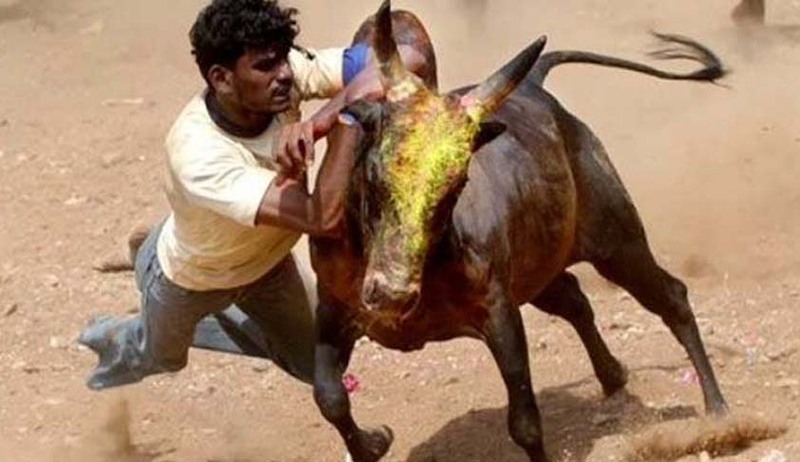 Animal rights organizations headed by Animal Welfare Board of India today moved the Supreme Court challenging the new law passed by the Tamil Nadu assembly to allow bull-taming sport jallikattu and a bench headed by Justice Dipak Misra agreed to hear them on Monday. Urgent mentioning of it was made by senior advocates Abhishek Manu Singhvi and Anand Grover. The bench asked them to file their applications which will be taken up for hearing on January 30 when the Centre’s plea for withdrawing the January 6, 2016 notification will be taken up. In their applications, the animal rights group has said that the new law passed by Tamil Nadu Assembly to allow Jallikattu has over reached the earlier verdict of apex court. Yesterday the SC was informed by the Centre that it is withdrawing its 2016 notification allowing Jallikattu in Tamil Nadu in view of the fresh legislation passed by the state assembly on the issue. “I am under instructions to inform the honourable court that the Centre has decided to withdraw the January 6, 2016 notification issued by the Ministry of Environment and Forest allowing the sport”, Attorney General Mukul Rohatgi had told a bench headed by Justice Dipak Misra. Read the Petition and Applications here.